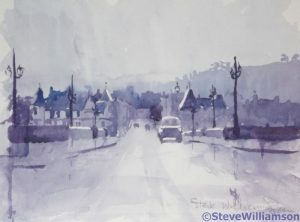 One of the paintings in my recent Exhibition in Llangollen Museum that I could have sold many times over was this little watercolour of rainy Llangollen. It didn’t seem to matter which part of the United Kingdom you lived in, this was the one you wanted. This was unexpected, to say the least, so no prints and no cards, and I don’t do repeat paintings. I don’t greatly care for commissions either as I find it difficult to create a painting when other people’s expectations are riding on it. 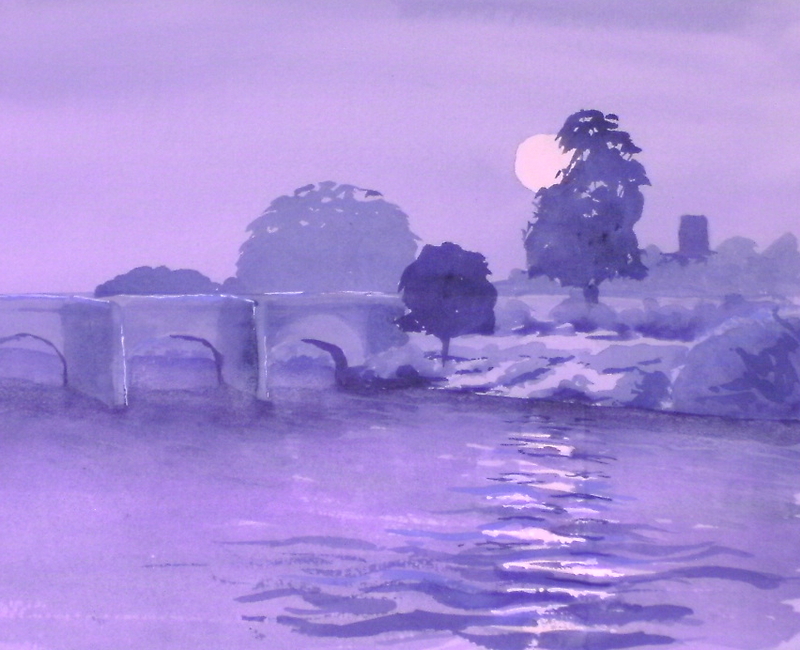 However, I did agree to attempt my local bridge “in the same style”. 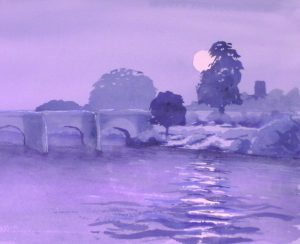 I thought “nice little watercolour – I know the bridge very well – I only have to paint it in blue – shouldn’t take long!” Wrong, wrong, wrong! After six attempts I was desperate. Nothing worked. Painting the bridge in blue wasn’t difficult. The problem was that each effort lay on the page – dead; lifeless and without vitality; nothing I would put my name to. Goodness knows I’ve seem the bridge in the rain countless times – I’ve even seen it in the dark! Inspiration! Moonshine on the water! What do you think? I love it. 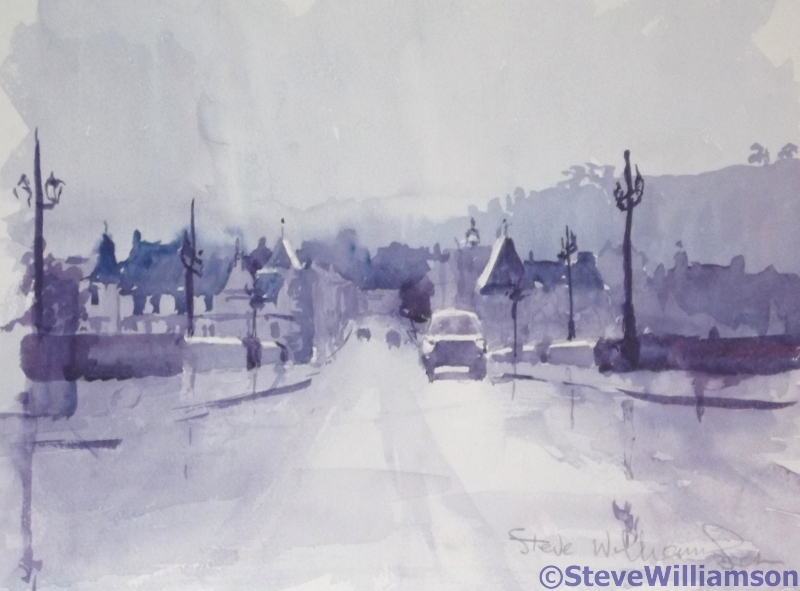 How people can paint to commission I will never know – but you found something that worked beautifully in the end! Fantastic how you can make something just come to life with a simple extra. It brings the whole picture together and makes it believable and something you want to go on looking at. I love it, too, and I agree about commissions – so much pressure.